What is the purpose of the rubber base 6 post plastic chain kit? 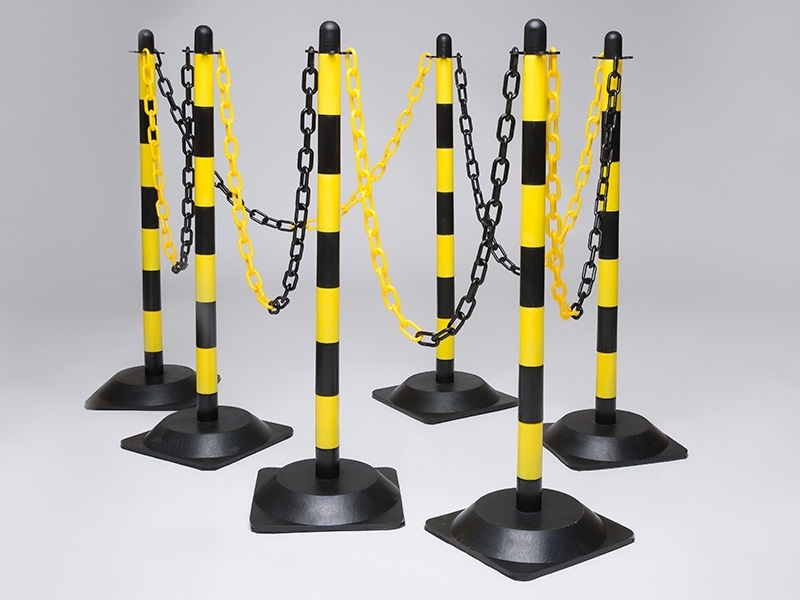 The rubber base 6 post plastic chain kit is a novel method of setting up barriers that are versatile and lightweight, making it usable in many different situations. The plastic chain kit is designed to be easy to install. The ability to be located anywhere makes it perfect for all sorts of uses, ranging from crowd control to traffic control. These kits can be combined to cover a larger area if the need arises. Where can this plastic barrier be used? 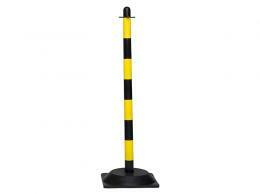 The posts can be mounted anywhere and aren't anchored to the ground, making the entire system highly mobile. Because of this, it can be used in any number of situations, ranging from the indoor to the outdoor. Strategically placed posts and chains are good deterrents for vehicles as well as outlines for the paths that people are allowed to walk or stand. It is a flexible solution to the problem of traffic or pedestrian flow. Who might use this temporary barrier? Businesses that have a lot of problems with queues or vehicular flow through their compound can benefit from having these posts installed. These posts and chains can be adapted for use in larger areas by simply buying more in order to cover the wider location. The posts and chains are designed to be able to stand up to the roughest uses, and so are ideal for any type of environment. This plastic chain barrier kit has 10m of plastic chain links that are supplied as 5 x 2m lengths, there are 6 plastic posts and 6 rubber bases, along with 20 connectors and 20 s-hooks. The thickness of the chain is 6mm or 8mm. 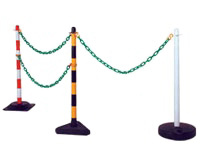 The chains and posts are compatible with others of this same design, which makes it a scalable solution that can be adopted by any business. Cookies help us deliver our services. Learn more.